Here is a review of the interactive website I worked on btwn 2006 and 2008. It was an amazing way to learn about the city. So far we have more than 300 creative videos, poems and photos posted from the public as well. 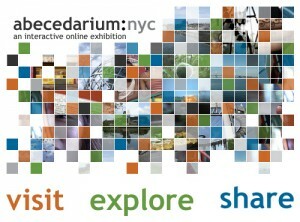 Abecedarium:NYC is an interactive online exhibition that reflects on the history, geography, and culture – both above and below ground – of New York City through 26 unusual words. Using original video, animation, photography and sound, Abecedarium:NYC constructs visual relationships between these select words and specific locations in the Bronx, Brooklyn, Manhattan, Queens, and Staten Island. Each word – whether it’s A for audile or Z for zenana – leads to a different short video and a location in the city that you may never have experienced before. In selenography (the study of the moon), amateur astronomers celebrate the wonders of the night sky at Staten Island’s Great Kills State Park. In open city (a metropolis without defense), the ruins of military installations throughout the five boroughs decay with time. Chatty teenagers in a Flushing, Queens cafe drink bubble tea in xenogenesis (the phenomenon of children markedly different from their parents). In diglot (a bilingual person), a Chinese accountant, Albanian baker, Palestinian falafel maker, Argentine film archivist and Cuban cigar maker speak candidly about their daily routines. In mofette (an opening in the earth from which carbon monoxide escapes) mysterious gases flow from gaps in the streets of Manhattan. The experience of visiting Abecedarium:NYC is more than watching, listening and learning. Visitors to the project are invited to respond to existing content as well as to share their own experience of New York City by contributing original videos, soundscapes, photos or texts to the project Abecedarium:NYC Blog. As more users contribute, the project grows in size, scope and experience, and transforms into a destination for sharing and learning about every facet of the city. 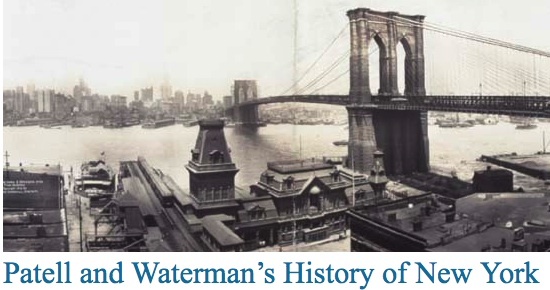 Reflect on the history, geography, and culture â€“ both above and below ground –Â of New York City through 26 unusual words. 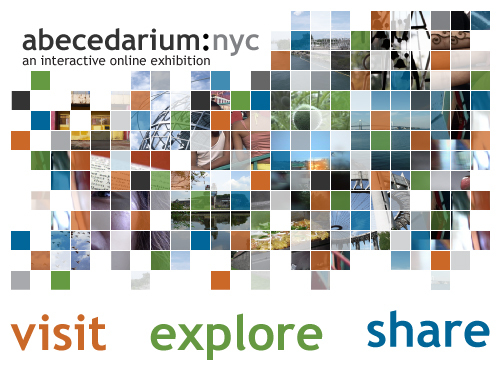 Abecedarium: NYC is an interactive online exhibition that uses original video, animation, photography and sound to create relationships between these words and locations in the Bronx, Brooklyn, Manhattan, Queens, and Staten Island. Share your own vision of New York by creating a video, a soundscape, a photo or written interpretation of a word and uploading your work to the exhibition. Each word – whether it’s A for audile or Z for zenana â€“ leads to a different short video and a location in the city that you may never have experienced before.Â In selenography (the study of the moon), amateur astronomers celebrate the wonders of the night sky at Staten Island’s Great Kills State Park. In open city (a metropolis without defense), the ruins of military installations throughout the five boroughs decay with time.Â Â Chatty teenagers in a Flushing, Queens cafe drink bubble tea in xenogenesis (the phenomenon of children markedly different from their parents). In diglot (a bilingual person), a Chinese accountant, Albanian baker, Palestinian falafel maker, Argentine film archivist and Cuban cigar maker speak candidly about their daily routines.Â In mofette (an opening in the earth from which carbon monoxide escapes) mysterious gases flow from gaps in the streets of Manhattan. The experience of visiting Abecedarium:NYC is more than watching, listening and learning. Visitors to the project are invitedÂ to share their own experience of New York City by contributing original videos, soundscapes, photos or texts to the project blog.Â As more users contribute, the project grows in size, scope and experience, and transforms into a destination for sharing and learning about every facet of the city. Produced with the support of the New York State Council on the Arts. the New York Public Library and the McDowell Colony. I think the most exciting part of this project is the blog. Check it out.